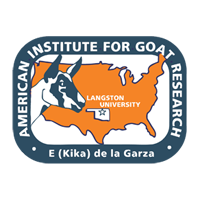 A concern of many goat producers is feeding management in the first few months of life for kids removed from does soon after birth. A number of factors may influence performance of kids artificially reared on milk or milk replacer. To study these factors, two sets of 40 Alpine kids (3 to 9 days of age) were used to determine effects of group versus individual pens, preweaning access to forage, and different milk feeding restriction regimens on preweaning and early postweaning growth. Treatments in the first experiment were: individual pens, 91 × 91 cm; two kids (one in the experiment and another older) per pen, 182 × 91 cm; group pen (with at least two older kids present), 2.43 × 1.22 m; and group pen plus free access to alfalfa hay. Treatments in the second experiment were: ad libitum milk intake with two meals in weeks 3-8, then 50% of intake on the preceding few days with one meal in week 9 to 10; 75% of intake on the last few days of week 2 with two meals in weeks 3-8, then 50% intake (67% of intake in weeks 3-8) with one meal in weeks 9-10; 75% intake with one meal in week 3-8, then 50% intake with one meal in weeks 9-10; and 75% intake with two meals in weeks 3-6, then 37.5% intake with one meal in weeks 7-10. In the first experiment, neither group pens nor providing access to forage preweaning enhanced growth of Alpine kids. Results of the second experiment indicate that milk consumption can be moderately restricted without impairment of growth in preweaning and early postweaning periods compared with ad libitum milk consumption. Furthermore, there appears potential for effective employment of regimens with only one daily meal of milk, although most appropriate restriction levels deserve further study. Lastly, a second step reduction in milk intake in the latter few weeks of the preweaning phase may be useful in further stimulating dry feed consumption.